Cairo is both Egypt’s capital and most populous city; it fittingly holds the country’s largest airport, Cairo International Airport. Most travelers will be comfortable spending $40 per day during travel in Egypt, though thrifty travelers may be able to get by on $25 per day. Temperatures in Egypt are almost always between 15˚C and 27˚C (60-80ºF). Most tourists come between October and April during Egypt’s winter when temperatures are a bit cooler. Classic Egyptian souvenirs include handmade crafts and papyrus paintings depicting scenes of ancient Egyptian culture. Though most people consider Egypt to be an African country, in reality a small portion of its land is also sits in Asia. Its strategic location against the Mediterranean Sea and between the Middle East and Africa has made the country a central point for trade and culture for many centuries. In fact, the ancient Egyptians are credited as being one of the most enlightened and influential early civilizations to have ever existed, and even today Egypt exerts a high level of influence that’s disproportionate to its land and population sizes. Most of Egypt’s citizens and major cities cluster around the Nile River, which is often considered the longest river in the world. The area surrounding the Nile is the only arable land in the entire country, as harsh desert occupies most of the land. 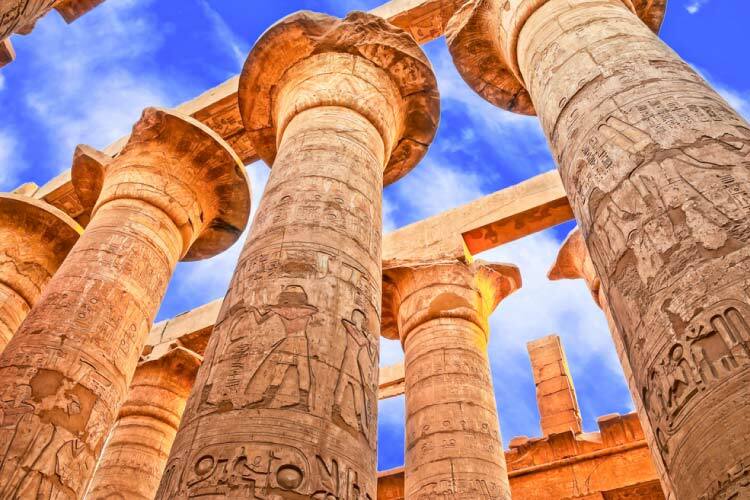 The majority of travelers in Egypt are interested in the country’s fascinating heritage. Though small groups of hunter-gathers existed for several centuries, the unified kingdom began in 3150 BCE by King Menses is regarded as the beginning of the traditional Egyptian cultures. Like many other parts of the world, Egypt was ruled by a series of dynasties. The first four dynasties were called the Old Kingdom and saw the development of hieroglyphics, the Pyramids of Giza, and the iconic Sphinx. This period occurred between 2800 and 2200 BCE. Following this period, Egypt experienced a good deal of political strife, but by the Eighteenth Dynasty the country had again become a major world player. The period between the eighteenth and thirtieth dynasties was known as the New Kingdom, and it was during this period that many of the most famous pharaohs lived. Dynastic rule ended when Greeks and later Romans took control of the country. This period was when the legendary Cleopatra controlled the country. Like the rest of North Africa, Egyptian culture changed considerably following the Muslim Arab invasion. Islamic rulers controlled the country for nearly seven centuries, but in the early 1500’s were annexed into the Ottoman Empire. Following the events of WWI, the country was placed under British protection, but a 1952 revolution solidified the country’s sovereignty. Since then, the country has been controlled by a series of presidents, though power was still highly centralized and the country was not a true democracy. Revolutions between 2011 and 2014, aided strongly by social media, brought about widespread change and an improved political situation. Cairo is Egypt’s largest city by a good margin, and almost all travelers to Egypt will pass through it at some point or another. Rooted firmly in its past, Cairo’s Egyptian Museum pays tribute to the area’s rich history. This museum is widely considered one of the best historical museums in the world. 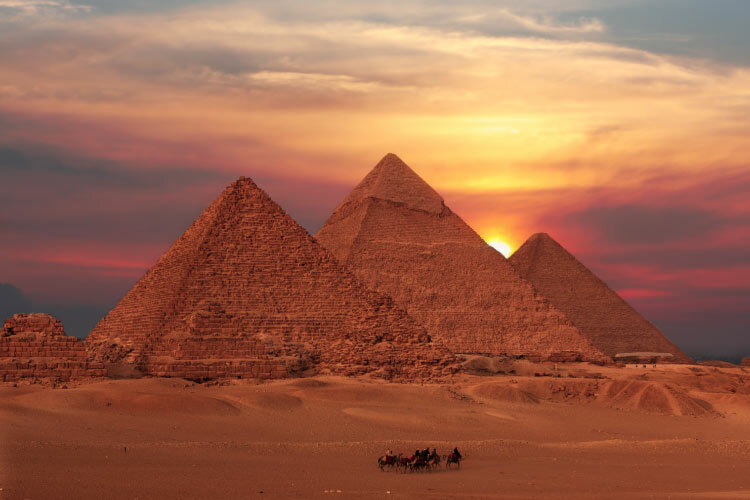 The famous Giza Pyramids are close to Cairo and are one of the most iconic travel destinations in the world. Though its history is undoubtedly its main draw, modern culture in Cairo is also interesting. The city has a thriving arts scene and a decent nightlife crowd. Cairo also contains a number of upscale shopping districts. The coastal city of Alexandria is known for its beaches and fascinating history. The city is very international and peaked during the times of the Greeks and Romans. During this time, the Lighthouse of Alexandria and Library of Alexandria still existed. These are considered two of the most important wonders of the ancient world, though neither exists today. However, the city still contains a number of attractions for travelers. For instance, the gorgeous Montazah Royal Gardens and accompanying palace are definitely worth a visit. The Citadel of Qaitbay is also quite lovely; this ancient fortress has become something of a symbol of the city. Though the isolated city of Dahab was once a hub for backpackers looking for something off the beaten path, today the city is considered one of the top tourist destinations in the country. 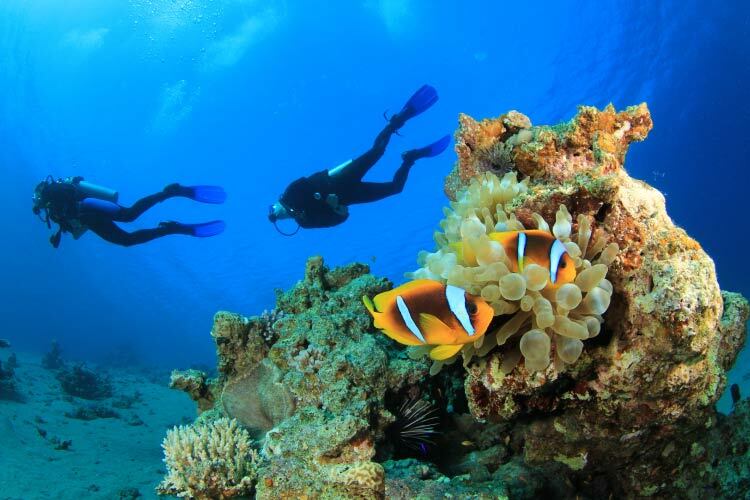 Dahab is mostly known for its windsurfing and scuba diving. In fact, the city sits next to the Blue Hole, which is widely considered to be one of the most beautiful and difficult dive areas in the world. Note that swimming near the surface of the Blue Hole is still quite stunning and not nearly as dangerous. There are also a number of desert expeditions that are quite popular with travelers in Dahab. 1. Spend time relaxing on Dahab’s gorgeous beaches, perhaps scuba diving or snorkeling in the colourful reef near the Blue Hole. Then, head into the town for a bit of light shopping and a stop at one of the lovely spas. Consider taking an expedition into the desert to see the gorgeous sand dunes. 2. 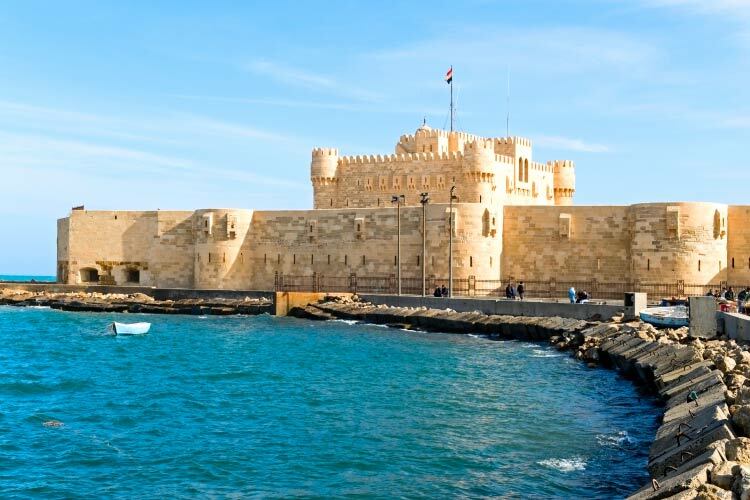 Alexandria’s historic sites are definitely worth visiting, most notably the ancient Citadel of Qaitbay. Though the Library of Alexandria no longer exists, the city is still full of a number of bookshops. Pick up a novel, then head to the beach for an afternoon of relaxation. The stunning Montazah complex and surrounding gardens are also a great place to unwind. 3. If you have the cash, Cairo is one of the best cities for shopping in the world. Of course, travelers will want to take a day trip from the city out to the Pyramids at Giza. For more history, check out the Egyptian Museum in central Cairo. 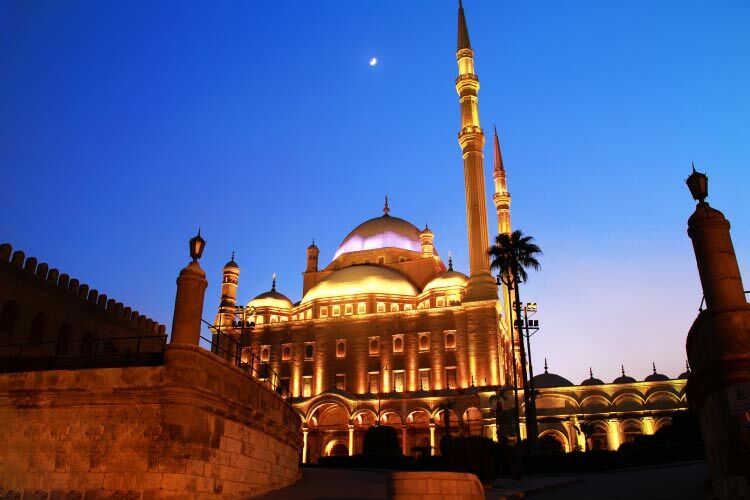 At night, Cairo comes alive, and travelers are encouraged to participate in the nightlife. 4. Though its a bit remote, the Siwa Oasis in western Egypt is a beautiful area surrounded by surreal sand dunes. The dunes of Bir Wahid are particularly popular among travelers. For an adrenaline rush, try sand boarding, or get behind the wheel of dune buggy and explore the desert in style. 5. Luxor is well known for its historical attractions, which include a number of temples. The Ramesseum Temple is definitely worth exploring, as well the Tombs of the Nobles. Nearby the city sits the Valley of Kings, a fascinating archaeological site with numerous tombs of ancient pharaohs. The nearby Valley of Queens is also lovely, and many traditional travel itineraries in Luxor suggest hiking through the desert between these two locations. 6. Marsa Alam is considered one of the best coastal cities along the Red Sea. There are several high quality diving spots, most notably the Elphinstone Reef. The city also contains a handful of historic sites, namely the Temple of Seti I. The nearby Emerald Mine is also fascinating and was considered a sacred locale in Egypt during ancient times. 7. 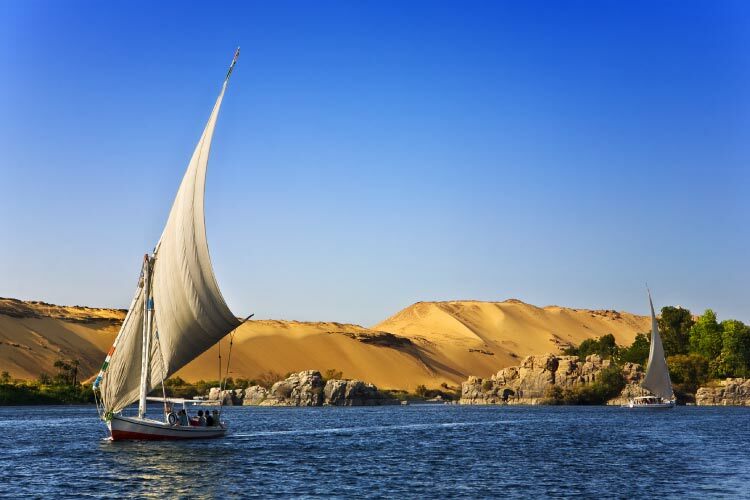 Aswan is a fantastic tourist city with lots to offer. The Nubian Museum gives a great overview of the city’s history and contains numerous interesting exhibits about the Nubian people. The islands near the city are also popular destinations. Seheyl Island is known for its inscribed cliff and its artisans, who make high quality jewelry. In general, Aswan is considered a fantastic place for shopping, especially in Sharia as-Souq. Please note that several countries have issued travel advisories in Egypt due to the political unrest the country has faced. Travel in Egypt at your own caution, and refrain from all discussion of politics, especially critical discussion. As of 2015, the political tension seems to be somewhat diffused, though this is subject to change at any time.